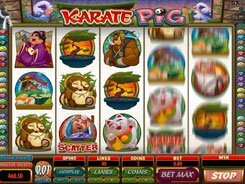 Karate Pig is a funny and entertaining 5-reel 40-payline slot from Microgaming, and is based on a Japanese cartoon. The reels are populated by themed symbols like a white kitten, a golden Buddha statue, a sushi bar, a hog in a karate suit, etc. A coin range is $0.01 to $0.1, and you can bet 1 to 5 coins per line, thus the floor and ceiling stakes are $0.01 and $20 per spin. The maximum prize you can grab in the game is 2000 coins awarded for hitting five Karate Pig logos on an active payline. The Karate Pig logo is a wild that always comes stacked on the reels occupying more than one position. 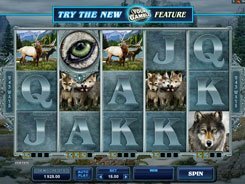 The slot features a free spins round triggered by 2 Coin symbols appeared anywhere on reels 1 and 5 at a time. 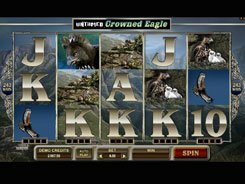 You are awarded 15 retriggerable free spins with all payouts doubled. 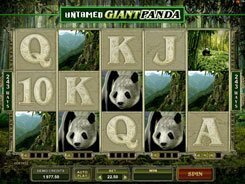 Besides, the slot offers a multi-tiered bonus game activated by 3+ Bonus icons. You are given a choice to play the Hammer Bonus or the Pork Chop Bonus. 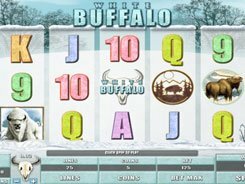 In both bonuses, you are to take a pick from six items to reveal what is hiding beneath. 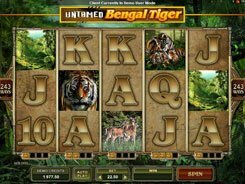 On completing the feature of your choice, you then unlock the Final Showdown mini-game that rewards great cash prizes.